Children's Hospital of The King's Daughters (CHKD) recently unveiled a space dedicated to the evaluation and treatment of chest wall deformities in children and young adults. The new Nuss Center for chest wall reconstruction builds on the hospital's 30-year leadership in the field of chest wall deformities, inspired by its surgeon-in-chief emeritus, Dr. Donald Nuss. 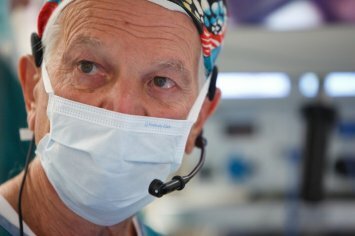 Dr. Nuss developed a groundbreaking technique, now known as the Nuss Procedure, to correct pectus excavatum during his career at CHKD.